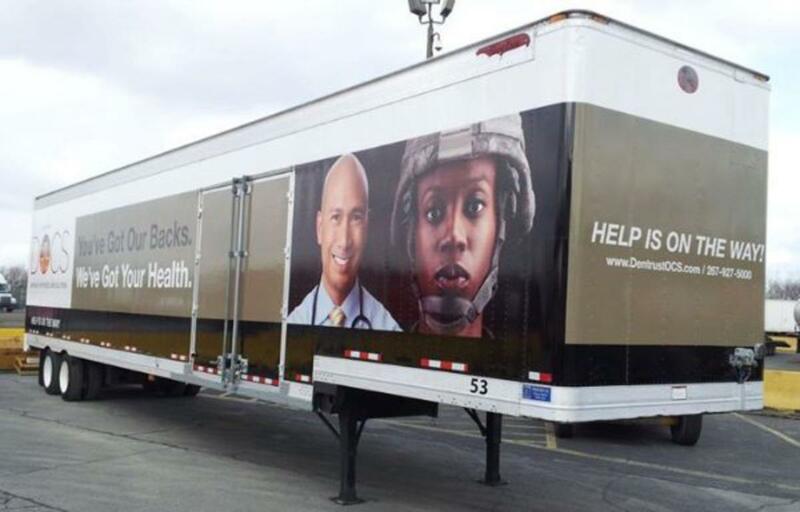 Tractor Trailer graphics, much like RV graphics and coach bus graphics, offer a unique opportunity for businesses to utilize valuable impressions outside of their local market. Unlike box trucks, which are used primarily by companies that require small- scale deliveries, tractor trailers are often used by companies to fulfill nationwide deliveries. Because of their large size, and because of how far they travel, tractor trailers are ideal carriers for promotions and advertisements. Recently, these remarkable vinyl wraps have been used to introduce new trends to the industry, including the use of three-dimensional graphics, and reflective materials. At Apple Graphics, we specialize in providing high impact visual solutions in the form of vehicle wraps, signs, and banners. High quality vehicle advertising is an innovative method of mass promotion that offers new way of marketing your business. Our dedicated staff provides your business with the potential to maximize its exposure and gives you the advertising edge that is guaranteed to increase your visibility. 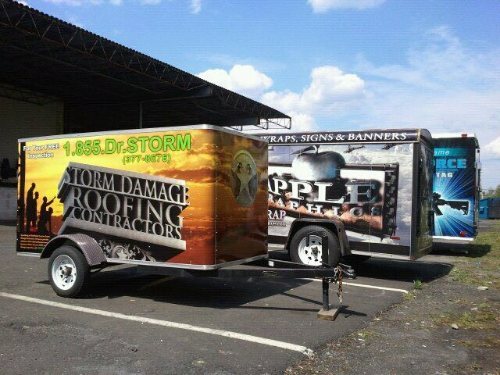 We offer creative car wraps, truck wraps, trailer wraps, and even bike wraps. You can rest assured that Apple Graphics will effectively deliver your message to potential customers. One of the most important aspects of graphics projects is the installation. 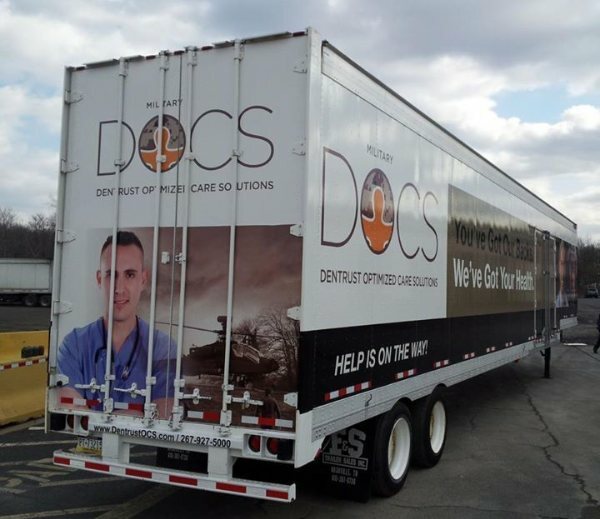 Tractor trailer graphics have the benefit of maximizing a large surface area, and at Apple Graphics, we utilize the space for innovative design. Our clients can expect quality installations backed by years of experience. The team at Apple Graphics specializes in a wide range of vehicle graphics and can perform installations on a variety of surfaces, including flat, geometric, and contoured. Wrap advertising is the best way for a business to advertise and promote their services. The vinyl sheets can be removed with relative ease, drastically reducing the costs associated with changing advertisements. 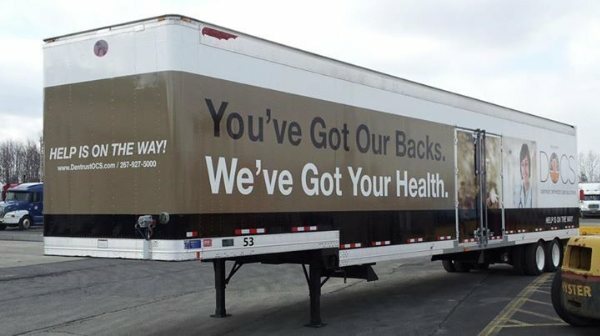 Tractor trailers make excellent mobile billboards, and at Apple Graphics we ensure that your vehicle wrap is completed with the care and customization you require.